Give Me My Remote > The Masked Singer > THE MASKED SINGER: Who Was Unmasked? 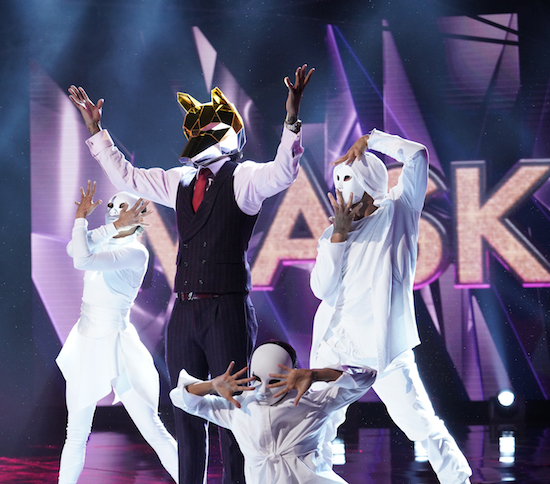 THE MASKED SINGER: Host Nick Cannon in the “Mix and Masks” episode of THE MASKED SINGER airing Wednesday, Jan. 30 (9:00-10:00 PM ET/PT) on FOX. © 2019 FOX Broadcasting. CR: Michael Becker / FOX. The third contest has been unmasked on THE MASKED SINGER…and it was Tori Spelling! Spelling competed on the show as the Unicorn. She joins NFL player/the Hippo Antonio Brown, comedian/the Pineapple Tommy Chong, the Poodle/Margaret Cho, and the Deer/Terry Bradshaw as the first celebrities unmasked on the series. The actress was a popular guess amongst viewers—her clues included the fact that she grew up in one of the richest neighborhoods (Beverly Hills), but had a difficult childhood. Did the right person go home?